On 22nd September, 2010 the share saw a fall of 1.05% which was equivalent to 14.50 and closed at Rs.1371.90. Financial Technologies share saw a fifty two week high of Rs.1, 721.95 on the January 19, 2010 and the company witnessed a fifty two week low of Rs.1, 190 on July 30 of the year 2010. The share is presently trading down by 26.1% from its fifty two week high and up by 6.93% from its fifty two week low. The market capital of Company amounts to Rs.5, 863.49 crores. Financial Technologies (FTIL) and MCX have failed to comply with the manner of increasing and maintaining public shareholding (MIMPS) regulation which results promoters had to cut their shareholding to 5 per cent in the exchange, said by the capital market regulator in its order. 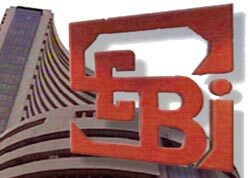 “The concentration of economic interest in a recognized stock exchange in the hands of two promoters is not in the interest of a well-regulated securities market,” said K. M. Abraham, Whole Time Member, SEBI, in his order, adding that “I am not satisfied that it will be in the interest of trade and in public interest to allow the application,” of MCX-SX. SEBI stated that the applicant was not fully compliant with the MIMPS Regulations. It also took serious exception to the buyback arrangements that MCX-SX had entered into with some shareholders. MCX-SX was critical of the decision. It said, “We are sad to see the continuation of the same bias and injustice as we have seen hitherto in the order passed by Sebi today. Despite the undertakings given to Sebi as per the order of Bombay high court, submitting legal opinions on the scheme of capital reduction and the submissions made in our reply to the notice of Sebi, it has still upheld the allegations mentioned in the notice”. The plea of MCX Stock Exchange had been rejected by SEBI by saying that the shareholding norms had been violated and that its promoters lacked honesty. The CNI Research CMD, Mr. Kishore P. Ostwal, said, “The fall in the shares is just the knee-jerk reaction as the investors became nervous after the SEBI rejected the MCX-SX application”. India’s largest commodity bourse MCX and another group company Financial Technologies India Ltd promoted MCX-SX and at present offer trading only in currency futures. Fault had been found by the exchange with the regulator in its response to a Sebi notice sent on 17 September, extracts of which were made available to Mint, saying the watchdog’s officials were associated too closely with the National Stock Exchange (NSE). The response said, “When the above is seen in the backdrop of C.B. Bhave (the Sebi chairman) being former MD (managing director) and CEO (chief executive officer) of NSDL (National Securities Depository Ltd), a company promoted by NSE, it appears there is direct conflict of interest and the treatment given to MCX-SX qua NSE further prove the circumstances”.